December seems to be giveaway month, but this one is HUGE! Amy at Park City Girl is one of 12 blogs hosting a giveaway from The Original Scrap Box. How awesome would this desk be no matter what your favorite craft is! I could use this for jewelry, paper crafting, sewing, quilting and knitting supplies. 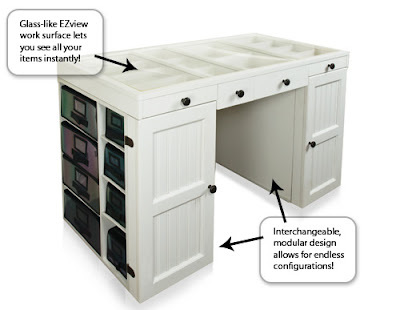 Head over to Park City Girl and enter to win the EZ View Desktop! I'd love to fill all those little cubbies and compartments with goodies!